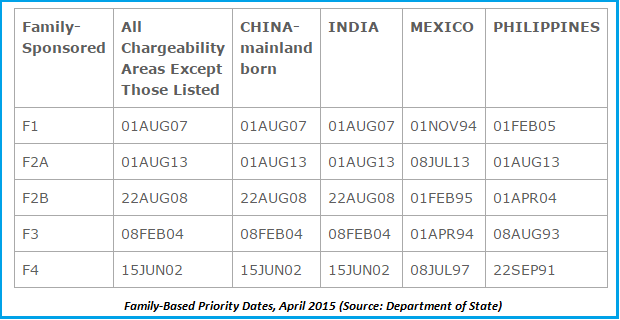 There is quite a bit of movement in April’s visa bulletin, particularly in employment-based categories. For the first time in a long time, China’s EB-2 preference category is closer to current than its EB-3 category, thanks to a 7 month advancement for the former, and a 9+ month retrogression for the latter. 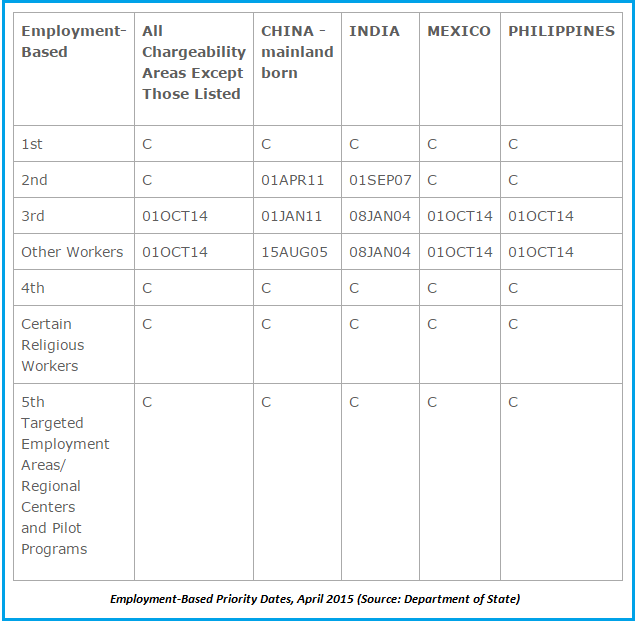 Most other employment-based categories will also see forward movement of 4 months or more, excepting India EB-3 (1 week forward) and the previously-mentioned retrogression for China EB-3. Most family-based categories will make incremental advancements, except for F-1 categories, most of which are static. Full breakdowns, plus the DOL charts, are below.